By Cameron Chapman in Artwork. Updated on April 11, 2018 . We’re all familiar with Google Doodles – the customized logos that appear on the search engine’s home page to commemorate special dates or events. For 12 years now Google has been creating these logos, honoring everything from global holidays like Earth Day to the birthdays of historically significant people (like Albert Einstein) and even to the birthdays of fictional characters like Paddington Bear. In the first ten years of Google Doodles (from 1998-2007), there were usually only a handful or maybe a dozen Doodles each year, usually for major events or holidays (like New Year’s Day or the Olympics). But starting in 2008, Google has been using more and more Doodles, often with cryptic meanings that take a bit of research to unearth meaning behind. 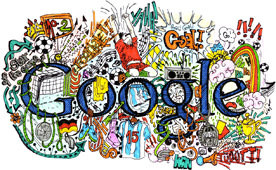 Below are some of the best hand-picked Google Doodles from the past 12+ years we loved! Have a favorite that isn’t on this list? Share it in the comments! Burning Man. This was the first-ever Google Doodle, and was created to indicate the Google founders’ attendance at the Burning Man Festival. ‘Uncle Sam’ Search.(US). This logo was shown on the Google U.S. Government Search page. Series From the First Week of May. This was the first official Google Doodle, and told the story of an alien intrigue. Olympic Summer Games in Sydney – Soccer.(Global). A number of Doodles were created for the Olympic Games in Sydeny, Australia. Olympic Summer Games in Sydney – Kayaking.(Global). Bastille Day.(France). Bastille Day is a holiday celebrating the French Revolution and the storming of the Bastille. Declaration of Independence.(US). This Doodle was created to celebrate the U.S. Declaration of Independence. Shichi-go-san. (Japan). Shichi-Go-San is a traditional rite of passage and festival in Japan for three and seven year old girls and three and five year old boys. Chinese New Year. (Global). The Chinese New Year (or Lunar New Year) is the most important traditional Chinese holiday and celebrates the new year based on the lunisolar Chinese calendar. Earth Day. (Global). Earth Day is an international celebration to raise environmental awareness that takes place in more than 175 countries each year. Swiss National Day.(Switzerland). Swiss National Day celebrates the creation of the Federal Charter of Switzerland in early August of 1291. Canada Day.(Canada). Canada Day is Canada’s national day, often referred to as "Canada’s Birthday". Nobel Prize Centennial Award Ceremony. (Global). Olympic Games Opening Ceremony. (Global). A series of Doodles were created for the Winter Olympic Games in Salt Lake City, Utah. 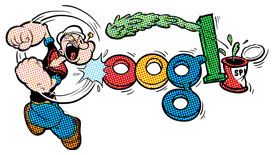 Dilbert Google Doodle (3 of 5). (Global). A series of five Dilbert-inspired Doodles was created, based on the comic. St. George’s Day.(UK). St. George’s Day is England’s National Day and is also celebrated in the nations, kingdoms, countries, and cities where Saint George is the patron saint. Santa Lucia. Santa Lucia is a Catholic Church feast day dedicated to St. Lucy. Guy Fawkes Day. Guy Fawkes Night is an annual celebration to mark the failure of the Gunpowder Plot of 1605 when a number of Catholics tried to destroy the House of Parliament in London. 50th Anniversary of Understanding DNA. (Global). The first correct Double-Helix model of DNA was suggested by James D. Watson and Francis Crick in 1953. Holiday Series 2003 (3 of 5). (Global). 100th Anniversary of Flight. (Global). The 100th Anniversary of Flight refers the first controlled, sustained, powered, heavier-than-air manned flight, which was completed by the Wright brothers at Kill Devil Hills, North Carolina in 1903. Persian New Year. Nowruz, the Persian New Year, is an ancient Iranian festival to celebrate the start of the Iranian New Year. Spirit on Mars. (Global). This Doodle was created to celebrate the landing of the Spirit rover on Mars. Bloomsday / James Joyce Day.(Ireland). Bloomsday is an Irish holiday created to celebrate the life of James Joyce, and to relive events from Ulysses. Athens Olympic Games – Tennis. (Global). As with every Olympic Games, a series of Doodles was created for the Athens Summer Olympic Games. Holiday Series 2004 (5 of 5). (Global). SpaceShipOne Wins the X Prize. (Global). SpaceShipOne made the first privately funded human spaceflight, thereby winning the Ansari X Prize. Vincent Van Gogh’s Birthday. (Global). Wold Water Day. (Global). World Water Day was established by the UN in 1993, and is observed to promote concrete activities within countries regarding water resources. Korean Independence Day.(Korea). Korean Independence Day celebrates Korea’s liberation from Japanese Rule following World War II. Australia Day.(Australia). Australia Day is the official national day of Australia and celebrates the arrival of the First Fleet to arrive there in 1788. Frank Lloyd Wright’s Birthday. (Global). Teacher’s Day. (US). Teacher’s Day in the U.S. is celebrated in the beginning of May, and is a day to honor and recognize the contributions teachers make to society. Leonardo da Vinci’s Birthday. (Global). Doodle4Google Competition: ‘Day of the Child’ by Lisa Wainaina.(UK). Doodle4Google is an annual competition in which children can create their own Google Doodle. 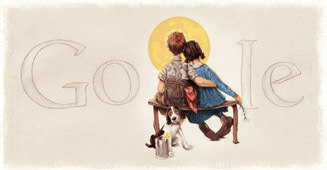 The winning Doodle is featured on the home page. Torino Olympic Games – Closing Ceremony. (Global). Torino Olympic Games – Luge. (Global). Louis Braille’s Birthday. (Global). The Google Doodle here was done in Braille, and is the first Google Doodle that didn’t incorporate the normal Google logo. Veteran’s Day. (US). Veteran’s Day is an annual U.S. holiday that honors military veterans, celebrated on the day major hostilities ended in World War I (celebrated as Armistice Day or Remembrance Day in other parts of the world). Parametron Computer 1.(Japan). Parametron Computer 1 (also known as the Quantum Flux Parametron) was invented by Eiichi Goto at the University of Tokyo. 50th Anniversary of the LEGO Brick. (Global). Carnival.(Brazil). Carnival is an annual festival held 40 days before Easter and is the most famous holiday in Brazil, though it is also celebrated elsewhere. Martin Luther King Jr. Day. (US). Doodle 4 Google Competition: Doodle by Mai Dao Ngoc.(Germany). Anniversary of the First Ascent of Mount Everest. (Global). Mid-Autumn Festival.(Vietnam). Also called the Children’s Festival, the Mid-Autumn Festival is a popular family holiday in Vietnam and elsewhere in Asia. Large Hadron Collider. (Global). The LHC is the largest and most powerful particle accelerator in the world, and was first successfully used in September 2008. Beijing Olympic Games – Swimming. (Global). Beijing Olympic Games – Opening Ceremony. (Global). 50th Anniversary of NASA. (US). The National Aeronautics and Space Administration was founded in 1958, replacing the National Advisory for Aeronautics. Turkish Oil Wrestling.(Turkey). Oil wrestling is the Turkish national sport, where wrestlers cover themselves in olive oil. Shinkansen.(Japan). This Doodle was created in honor the high-speed railway lines in Japan (also known as bullet trains). Day of the Dead. (Mexico). The Day of the Dead (Dia de los Muertos in Spanish) is a holiday where friends and family gather to remember and pray for dead family members and friends. Happy Halloween! Doodle Designed by Wes Craven. (US). Day of Trees. (Poland). This is the Polish version of Arbor Day. Paddington Bear’s 50th Birthday. One of only two Doodles celebration "birthdays" of fictional characters. Seven Sleepers Day.(Germany). Tradition says that if it rains on Seven Sleepers Day, it will be raining for the remainder of the summer. Birthday of Igor Stravinsky. (Global). Samuel Morse’s Birthday. (Global). One of only three Google Doodles to use non-latin characters. H.G. Wells’ Birthday. (Selected Countries). Crop Circles. (Selected Countries). This Doodle celebrated crop circles around the world. Qi Xi. (China, Hong Kong, Taiwan). Sometimes referred to as Chinese Valentine’s Day, or the Magpie Festival, Qi Xi ("The Night of Sevens") is a holiday in which young girls traditionally showcase their domestic arts and make wishes for a good husband. Ilya Repin’s Birthday. (Russia, Ukraine, Belarus). Comic-Con 2009. 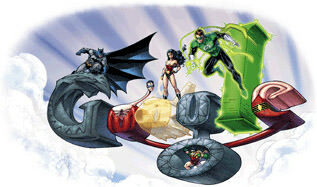 This is the first, and so far only, Doodle celebrating the annual Comic-Con conference. Birthday of Nikola Tesla. (Global). Anniversary of the Publication of Pinocchio. (Italy). Jan Evangelista Purkyne’s Birthday. (Czech Republic). Discovery of the Aztec Sun Stone. (Mexico). This Doodle commemorates the discovery of the Aztec Sun Stone on December 17, 1790. E.C. Segar’s Birthday – Popeye. (Global). St. Andrew’s Day. (UK). St. Andrew’s Day is the official national day of Scotland and is a celebration of Saint Andrew, the patron saint of golfers, fishmongers, mariners, and performers, among others. Father Frost’s Birthday.(Russia). Father Frost is similar to Santa Claus, except he often brings gifts in person at large New Year celebrations. Sesame Street – Cookie Monster. (Selected Countries). A series of Sesame Street-themed Doodles were created to celebrate the 40th Anniversary of Sesame Street. Loy Krathong.(Thailand). Loy Krathong is a Thai holiday where small rafts are floated on bodies of water to honor and pay respect to the goddess of water, and also to apologize for bad things done to the river during the past year. Invention of the Bar Code. (Global). One of the three Doodles that uses non-latin characters. Moon Viewing Day – Tsukimi.(Japan). Tsukimi is a traditional Japanese holiday where people throw parties to view the harvest moon. Jon Amos Komensky’s 418th Birthday. (Czech Republic, Slovakia). Pi Day. (Selected Countries). Pi Day is celebrated on March 14th each year to celebrate the mathematical constant pi (which is approximated as 3.14). It is also the birthday of Albert Einstein. Felix Rodriguez de la Fuente’s Birthday. (Spain). Holmenkollen Ski Festival. (Norway). The Holmenkollen Ski Jump is the oldest notable ski jump competition still in existence, beginning in 1892. The Festival includes the ski jump and a number of other evetns. Girl’s Day.(Japan). Also known as Hinamatsuri or Doll’s Day, Girl’s Day is a traditionl Japanese holiday in which dolls are displayed on platforms covered in red carpet. Winter Olympics – Closing Ceremony. (Global). Winter Olympics – Alpine Skiing. (Global). 150th Birthday of J.M. Barrie. (Selected Global). 170th Birthday of Pyotr Ilyich Tchaikovsky. (Global). Rocket Festival.(Thailand). The Rocket Festival is a traditional Buddhist folk festival that culminates on the third day with competitive firings of home-made rockets. ANZAC Day. (Australia). ANZAC Day is a national remembrance day in Australia and New Zealand to honor members of the Australian and New Zealand Army Corps (ANZAC) who fought in World War I at Gallipoli in Turkey. Hans Christian Andersen’s 205th Birthday – Part 5. (Global). April Fools! (US). The Topeka logo was used as an April Fools joke, in reference to the adoption of the name "Google" by Topeka, KS in an effort to entice Google to bring high-speed broadband internet service to their city. Hubble Space Telescope’s 20th Anniversary. (Global). 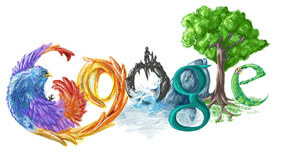 Credit: All doodle images were taken from Google Doodles.